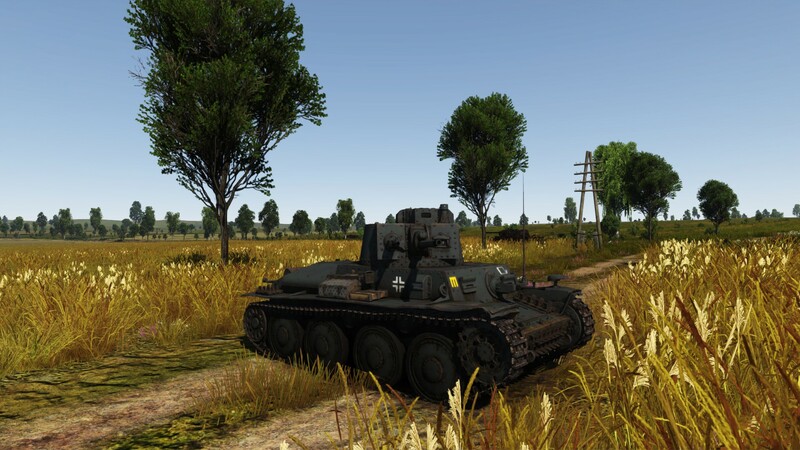 Panzer 38(t) Ausf. F, №9 of the 3rd Panzer Division. 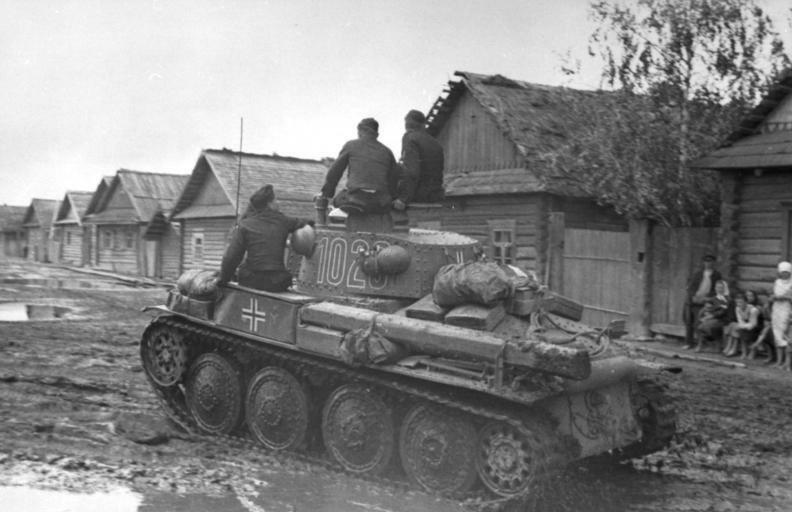 October 1941, during Operation Barbarossa. Simply put, this is arguably the best tank in the 1-2.0 BR bracket of the German tree - the Ausf. A variant (BR 1.3) is second only to the US Army M2A4 in-game (v1.47), with better survivability than the BT-5. In terms of speed and terrain handling amongst the low-tier German units, it is slightly inferior to the Pz II but sports a vastly more capable cannon. Conversely, it is not as slow as early Pz III and Pz IV variants, offering markedly better acceleration, maneuvering, and a whopping 3 times faster turret rotation speed. which gives it a tactical advantage. Its fast firing 37mm ÚV vz. 38 (L/47.8) cannon can be considered as good as the German 50mm KwK 38, and 75mm KwK 37 firing non-HEAT rounds (by game metrics). The result; a terrific Blitz tank that can quickly flank and assume ambush positions to maximise its effective cannon. 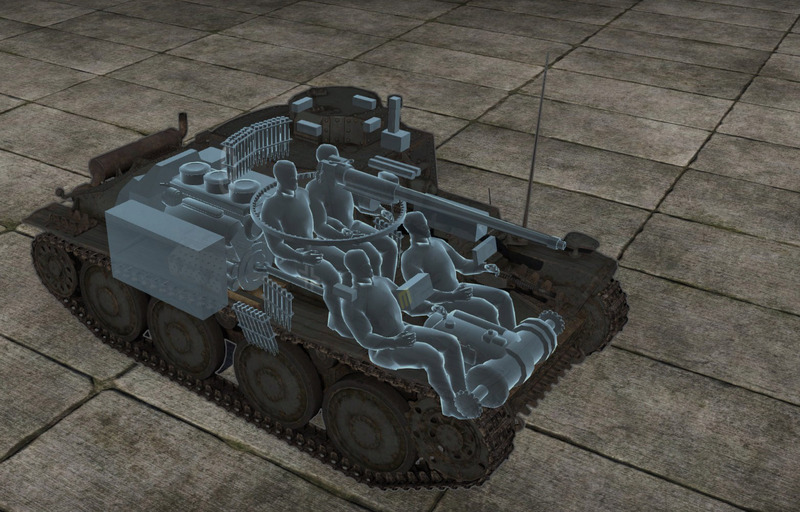 Its main disadvantage is the thinner armour, especially in the Ausf. A.  The two variants are the 38(t) Ausf. A (BR 1.3 AB/RB) and Ausf. F (BR 2.0 AB/RB) after the 35(t) on the Czech chassis line. The former has relatively thin 15 to 25mm armour all around, while the F model doubles that with 30 to 50mm of armour, with only a slight increase in weight that barely affects performance. The Ausf. A is vulnerable to nearly any weapon, so one should not expose himself whilst driving it, but this also forces one to learn how to play smart, seeking cover and using ambush tactics.  This improves a player's overall game experience, encouraging the use of tactics and strategies in order to strike effectively. A step up from the A is the up-armoured F, which gives you much better odds of winning an engagement. Gameplay is a marked contrast to early Pz III’s and Pz IV’s which maintain robust effective armour protection, but in the long run players lose because they do not learn good tactics and are too sluggish to retaliate. The 37mm ÚV vz. 38 (L/47.8) is the earliest cannon which offers 2 good round choices, the solid core PzGr. 40 APCR with 77mm penetration @ 100m and 40mm @ 500m and the explosive tipped Pzgr. (I) umg APCBC with 50mm @ 100m and 38mm @ 500m - perhaps the best cannon in the sub 50mm class. While the first has better penetration it needs a critical hit to score a kill, so in some situations the explosive tipped Pzgr. (I) umg is the better round to use. Leaning to switch rounds to adapt to a situation will also improve your combat success. Facing a 38(t) is mostly a matter of recognising the Ausf. A from F. The differences are easily seen with a keen eye which can indicate their level of threat. Despite this, both models have vulnerabilities, so memorise them! The key in going up against the, is to maintain a reasonable distance, whilst watching your flank. Ironically, most new players use it like Pz III or IV thinking it has strong armour, and in doing so make themselves easy targets. Be alert for those who know how to use it. Arguably Germany's most important early armoured vehicle in its class produced throughout the war. It was also one of very few pieces of equipment not originally designed in Germany; the Panzerkampfwagen 38(t) originally came from Czechoslovakia. The LT-38 was a significant improvement to the earlier and somewhat unreliable LT-35. A private venture by Českomoravská Kolben-Daněk (ČKD) who sold about 100 to Iran, Peru, and Switzerland before Czechoslovakia decided to acquire. Production had barely started when the 1938 Munich Dictat was signed and was not in active service when Germany took over Czechoslovakia. 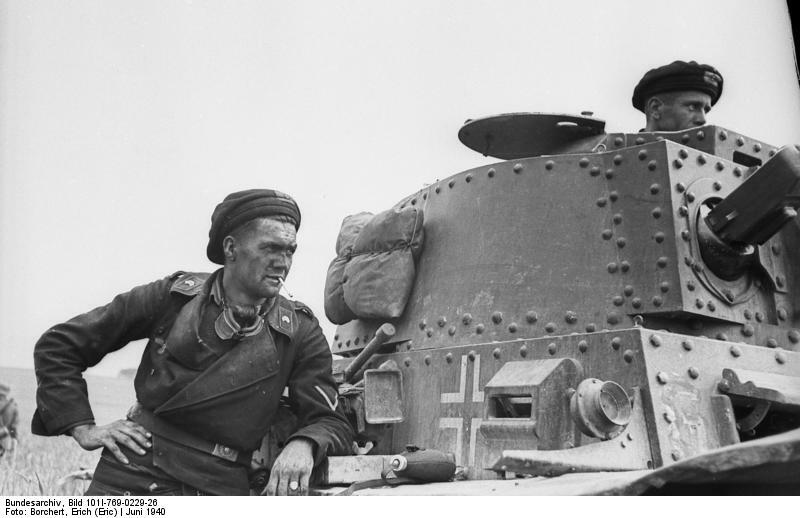 Although inferior in some ways to other German equipment, the Wehrmacht was desperately short on armour, and in their need, introduced the PzKpfw 38(t) into service. The (t) in the title stood for “tschechisch”, the German word for Czech. In Poland, and later at the Blitzkrieg, they found it to be a powerful and significant addition to their armoured forces. Its shortcoming proved to be the riveted armour plates, which were harder but more brittle than other armoured steel making it vulnerable to internal spalling. This was a vulnerability that was difficult to combat. The 38(t)’s greatest legacy was its supremely reliable drivetrain and chassis which was produced throughout the war and saw continued use and production long after wars end in other uses. Although famed due to German usage, it is really a legacy of ingenious Czechoslovakian engineering. Have you had the pleasure of experiencing the PzKpfw 38(t)? How did you find it? Let us know in the comments!